1. Mindy Kaling's Is Everyone Hanging Out Without Me? And Other Concerns. It is better than I thought it would be, and I say this as a person who read Kaling's late lamented Things I Bought That I Love blog (tragically, the archives of this blog seem no longer to be available. WOE. ), and loved it madly. Like Tina Fey's Bossypants, the book purports to be a funny, showbizzy puffery, and instead is a sly yet warm engagement with a smart and funny person. You kind of want to be friends with Ms. Mindy when you've finished the book. I lingered over it, because I didn't want to run out of book, or Kaling. Do not hesitate. 2. A cookie in the afternoon. Are you writing? Grading? Lolling about in the doldrums of the hours between lunch and evening? Contemplating your smallness in the overall scheme of things, and how lame that is, since you always assumed you'd be making international economic policy or writing important books or acting in entertaining yet artful movies? My recommendation to you is to have a cookie. Have two, in fact. A cookie or two will put things into perspective. If you have a cookie on hand, well, good for you. That makes you a person who knows how to provide for a rainy day (speaking metaphorically), and such a person may in fact have big things ahead for her/him. If you don't have a cookie on hand, don't despair. You can go to a place where they make cookies, and sell them, such as a bakery. Knowing where to get a cookie when you need one, then going to get that cookie decisively, speaks well of your character: you do not dilly dally when there are needs to be met, you go and meet them, and head off a plummet into the Slough of Despond. Either way, your cookie in hand, you will feel better, and that's better for you and for all mankind, really, because who needs more despairing people in the afternoon? No one, that's who. 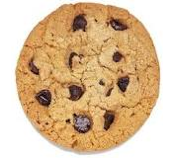 Now get yourself a cookie in case you need a little energy. That economic crisis is not going to solve itself. 3. Pink lipstick. Maybe this is more for women, but who can say, men? I don't know your life. In any case: you may think that pink isn't the color for you. For you, if it's lipstick, it's either red, because red is the very quintessence of lipstick, or it's one of those sheer non-colors that are all about sheen and texture, because you're subtle like that. But consider this: pink is refreshing. It's bold but not aggressive. It's friendly. And the people, pink will cheer you like nobody's business. In fact, while you're at it, why don't you get a pink sweater? and scarf? 4. A family-friendly movie, even if you aren't going en famille, as it were. Last night, the historian and I saw Big Miracle because we were in the mood for a movie that would not (a) trouble us with its flaws, (b) make us mad at the Academy of Motion Picture Arts and Sciences, or whatever it's actually called, because the movie in question was (1) nominated, and (2) undeserving, or (c) make us feel sad or depressed or downtrodden. I think we can all agree, there are times when the offerings in the theaters all exhibit one or more of these negative traits (Shame, Albert Nobbs, and War Horse, I am looking at you). So we saw the whales in jeopardy movie, and surprise, it was quite a bit better than we thought it would be without beating us over the head by being a Major Work of Art. It had a fair amount to recommend it, though: a good cast, all doing swell work in small roles; a more complex-than-you'd-think take on the whole (mostly true) story; interesting observations about politics and conflicting/coinciding interests; and whales. Entirely satisfying, and that was without popcorn. Just think if I had had popcorn! You make me smile....but also think about how much smiley-er I would be with a cookie. I had two cookies just this morning--true, not in the afternoon, but still, no sign of despair here. Pink lipstick, here I come. Do you know that the whale movie screenwriter lives just up the road? Do you know who I listen to? You. I'm eating the cookie right now. Cookies!!! I can't wait to read the Kaling book! I like you, Lisa B.